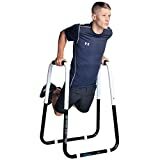 Whether you call them dip bars, dip stations or dip stands, when you are looking for a strong sturdy piece of equipment that will strengthen your upper body, a set of portable dip bars are just what you need. They come in all shapes and sizes, however, this article has an emphasis on being portable. 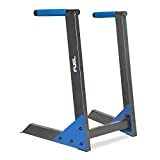 So you can take them with you when you travel, visit friends, to your job or if you simply need a dip station that doesn't get in the way at home and can be used as part of your home gym set up. If the CoreX is unavailable or out of stock for some reason, the Black Mountain is our runner-up. The Ultimate Bodypress Dip Station is perfect for those looking for an all round body workout. 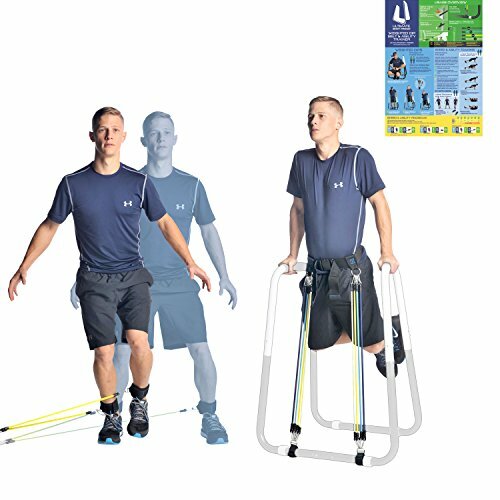 Due to the height of the bars, you are able to perform a number of exercises that the smaller products in this category are not able to offer. Exercises such as leg and knee raise, pull-ups and pushups, as well as weighted dips and gymnast ring dips. 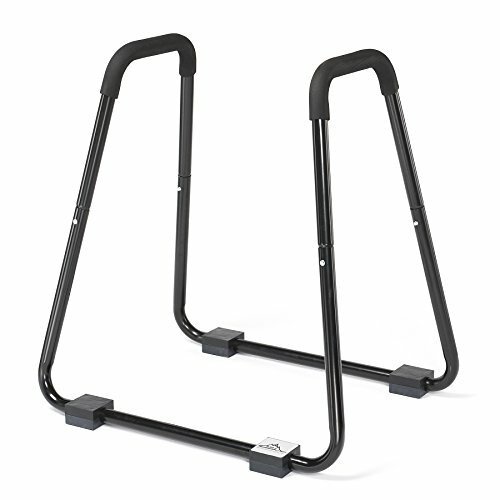 The dip bars are constructed from heavyweight 1.5″ steel tubing, so bending will not be an issue, however the manufacturer states a maximum weight limit of 350 lbs, so if you are considering this station then be sure not to exceed this limit and pay particular attention if you are looking to exercise with either a weighted vest or belt. The Black Mountain Products dip stand is the toughest and most durable on our list. 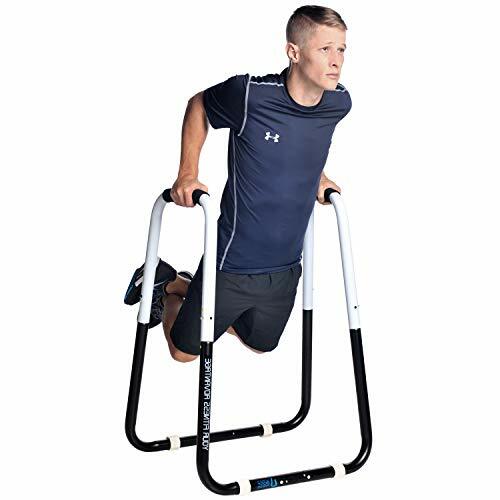 With a max weight capacity of 100 lbs, this product is ideal for those looking for a more intense workout where additional weight can be added on-top of your own bodyweight to really give those muscles a workout. One feature in particular that makes all Black Mountain Products stand out from the crown is there lifetime warrenty that comes with all of their fitness and exercise equipment. Giving you that piece of mind you need when buying. This is one of the most highly rated dip bars/stations on our list today. The Trademark Innovations stand is liked for it's easy of assembly, which is crucial when purchasing portable dip bars. The standout feature by far is the inclusion of the olympic rings which are a great addition to your bodyweight training, as they offer a more natural exercise and work additional muscles that are not utilized with static dips. This is because of the additional muscles required to steady the body a you dip and press. 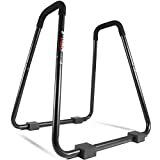 Our highest rated AND the cheapest product in our list is this offering from Titan Fitness. The HD dip station comes in at half the price of it's competitors and offers a great workout to boot. 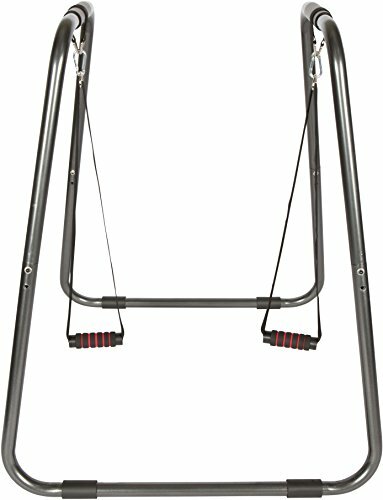 This dip station can be flipped on it's head in order to perform a range of exercises such as pull ups and hanging leg raises. The Lebert Equalizer Bars are arguably the easiest toi stack and store of the bunch. With a low width profile, they come as 2 seperate dip bars to offer more flexibility when it comes to storage, transportation and your workouts. The benefit of having two seperate bars as opposed to a single piece is that you are able to widen or shorten your grip width, which in-turn will work the different muscle groups in both your chest and arms. 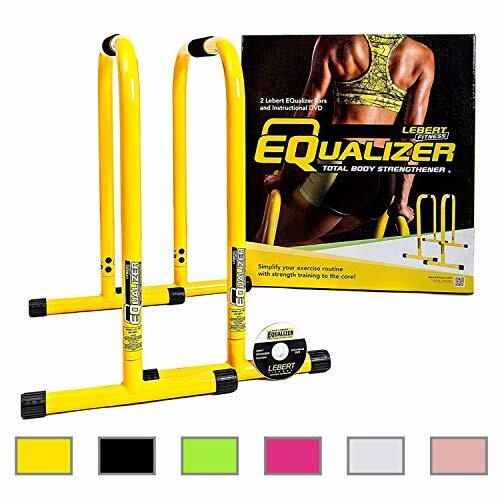 The Equalizer barsa also come in a wide range of colors, from Yellow to Pink, green and also the standard Black. The CoreX is our editors choice. Another great set of portable dip bars, this time from Fuel Performance. This single piece station has a steel powder coated frame which gives it that rugged gym workout look and feel. It also boast angled dip bars to ensure you get the most from your workouts and less stress is placed on joints. 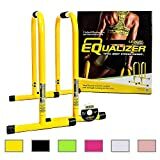 This station also comes equipped with olympic rings which are a popular choice amongst users as they help to grow additional muscle thanks to the additional stability you need to provide as you dip and push. To wrap up our review of the top portable dip bars, we have awarded the CoreX our editors choice for 2019 award. This stand is by far the most versatile and robust dip station available. 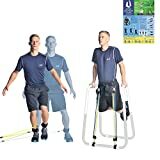 The bundle deal that CoreX offer with this product means you get much more for your money and will have a product that can be used for a number of different exercises and not just for dips.